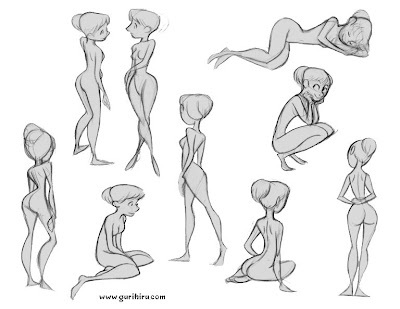 Here's a page of some pose studies and random sketches. 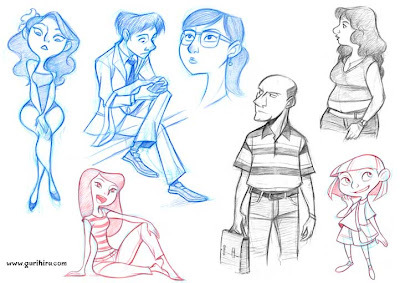 These drawings are wonderful. 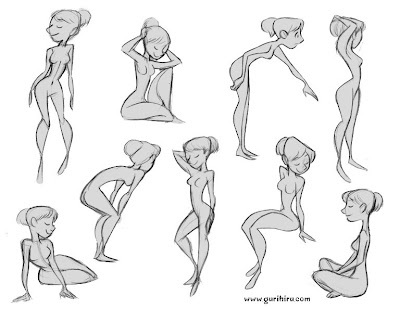 Each pose is so alive and real, and in your expressive style. also- Power Pack Day 1 #3 is awesome! So many snark~ wow. are these done from live models or photo reference, or out of your head? When the pose is studied, I use as reference a model pose photograph.